Calorie Countdown the Weight Off! After a very rude wake-up call with my scale come January 1st, I’ve entered a rather vigorous battle with a pile of unwanted pounds. The thing is, while I exercise with the passion of a mama desperate to fit back in her jeans, the tricky truth is that at my age, my metabolism has adopted a more relaxed pace. I simply cannot consume the number of calories I once could. This means smarter food choices and some nifty swaps that allow my body to get the nutrition it needs while netting fewer calories. One genius swap I’ve found? The Hood Calorie Countdown! What is the Hood Calorie Countdown? 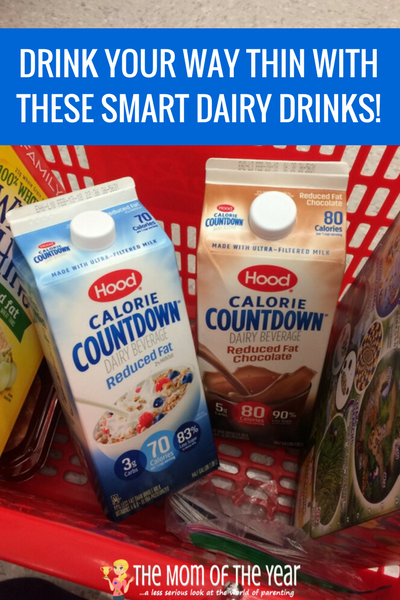 Hood Calorie Countdown is a creamy dairy beverage that has 42% fewer calories, 75% less sugar, and 67% fewer carbohydrates than milk. It packs a powerful nutritional punch with 25% of your Daily Value for calcium and 15% of your Daily Value for Vitamin D (based on a 2,000-calorie diet) per cup. And coming from Hood, a leader in high-quality dairy products, it’s delicious. Not only will your diet love it, your taste buds will too! Calorie Countdown starts with ultra-filtered milk from farmers who pledge not to use artificial growth hormones. It blends this milk with water, cream (and other ingredients) in a creamy smooth drink that helps you keep your calorie consumption in check. And with whole, 2%, fat-free and chocolate-flavored choices to choose from, you’ll never have to go without dairy again! What are the benefits of Hood Calorie Countdown? 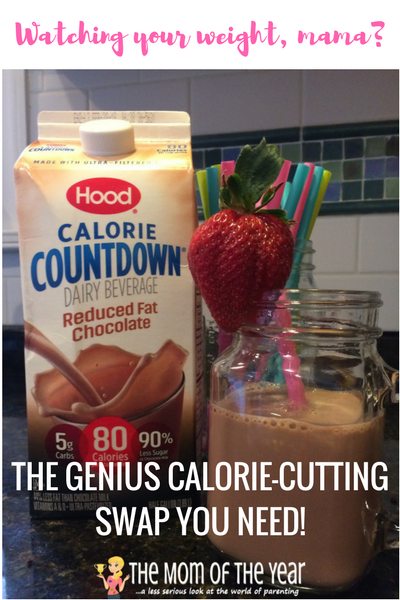 I’ve already chatted this some above, but for me, the primary reason I love Hood Calorie Countdown is that it allows me to cut my calorie intake while still enjoying dairy beverages as both a drink AND an ingredient in so many of the recipes in my repertoire. For me, dairy is a non-negotiable part of my daily diet. I love my dairy! I also love the protein benefit, as well as the calcium and Vitamin D boost it provides–essential to the life of a busy mama tackling her day. This find is a no-brainer if you’re looking to cut back on calories, which is something I must do as I get older, even with lots of exercise. 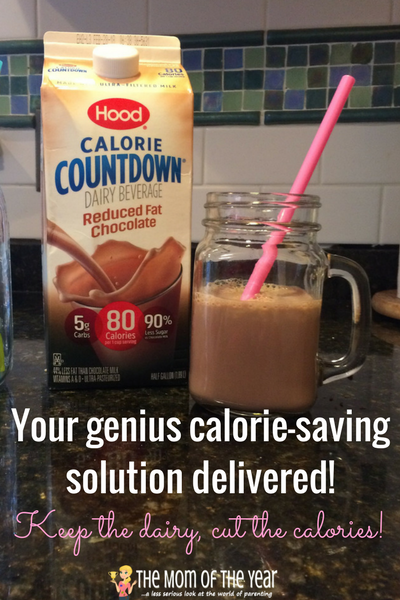 Hood Calorie Countdown is a smart swap I can make to boot unnecessary calories while keeping the smart nutrition of dairy beverages I need. Where can I find Hood Calorie Countdown? Walmart! And other local retailers–check out the locations HERE. Lots of choices within easy reach! Looking to save on Hood Calorie Countdown? Done! Use THIS COUPON, available only to my readers, and get your savings on while booting those calories! Losing weight is a tricky, tricky beast, friends. We all know this. But with some smart planning and crafty swaps, we can make it happen! Let’s do this, 2018!! Yes! Try it! It is all good, but the chocolate is quickly becoming my favorite for my sweet tooth fix–yum! !